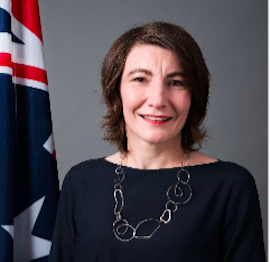 Susan Corbisiero is Trade Commissioner and Post Manager with the Australian Trade and Investment Commission (Austrade) in Shanghai where she manages the east China region which includes Shanghai and the provinces of Zhejiang, Jiangsu and Anhui. Susan also leads the Financial Services team in China, with a focus on emerging opportunities in Fintech. Susan joined Austrade in 2012 in Beijing, where she led the Food, Beverage, Agribusiness and Consumer industry team and instigated the e-Commerce initiative. Most recently she was the Project Manager for Australia Week in China 2016, the largest Australian trade delegation to visit China. Susan has diverse international experience in both the private and public sectors. For almost 10 years Susan worked in the Automotive and Household Appliance industries in a variety of roles including Business Development, Production and Program Management in China, Australia and North America. On return to Australia, Susan joined the Australian Public Service, working in Indigenous Affairs where she led whole-of- government engagement with Aboriginal communities in south-eastern South Australia, and later managed land management and acquisitions programs in the Northern Territory, South Australia, Victoria and Tasmania. Before joining Austrade, she managed a multi-disciplinary research institute focused on sustainability at the University of South Australia. Susan holds an Honours Degree in Banking and Finance, with a Bachelor of Business in International Trade from Monash University. She also studied at the Hopkins-Nanjing University Centre for Chinese and American Studies in Nanjing as a recipient of a China-Australia Council scholarship. Susan is married with two children and speaks Chinese (Mandarin) and Italian.